Research involves detailed chronicling of activities at Dufferin Grove Park, already thousands of pages. This chronicling activity is gradually expanding elsewhere, notably through diaries of city rinks on cityrinks.ca. An outgrowth of this has been the detailed documentation of interaction with administrative bodies responsible for public space, notably the Toronto Department of Parks, Forestry, and Recreation, with regard to parks, and rinks. About page and financial records. Experimenting with ways of using public space has been and continues to be a main activity. Insights and lessons learned provide input for research and analysis. CELOS supports activities initially launched at Dufferin Grove Park, but with a broader scope. 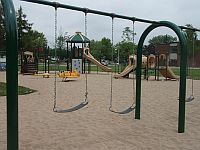 The research work of CELOS extends into other parks and public commons in Toronto Neighbourhoods. CELOS looks at the publc commons from underneath, reporting on the details of the every day and encouraging public conversations. All three research activities are ongoing, and a major goal of CELOS is to organize and supplement an already formidable collection of information, in such a way as to make the information available and useful for public discussion among stakeholders of public space.